Dogs truly are a human’s best friend. They bring joy and happiness into our lives. Every pet owner hopes that their dog leads an active and healthy life. Unfortunately, our precious dogs can suffer from a variety of frightening and upsetting conditions. Cannabidiol (CBD) is an all-natural extract of the cannabis plant that you can use to treat a variety of these conditions. One of the more alarming things that can happen is when your dog becomes paralyzed. There are a variety of reasons why this may happen. The nervous system is responsible for controlling movement in mammalian bodies. You can divide it into two parts: the central nervous system (CNS) and the peripheral nervous system (PNS). The CNS runs through the brain and spinal cord. It is kind of like the central computer system that controls the rest of the body. The PNS, on the other hand, is composed of all the nervous system cells outside of the CNS. These are known as neurons. These neurons gather information from the outside world and then feed it into the CNS to be processed. Your dog’s ability to move is also controlled by this interaction. If there is some kind of malfunction in the nervous system, then paralysis may result. This malfunction is usually the result of impaired communication between the CNS and PNS. The official term for this is canine paralysis. Tetraplegia: This is an inability to move all four legs. Paraplegia: This is an inability to move the rear legs. Paresis: This is a partial paralysis. This means your dog is still able to move but does so with great difficulty. An inability to move some or all of their legs. Using only their front legs while their hind legs drag behind them. Difficulty or an inability to move about. Incontinence and poor bladder control. An inability to control their bowel movements. Pain in their spine, legs, and/or neck. Any observant dog owner should be able to tell if there is something wrong with their dog. Identifying any of these warning signs may be indicative of a serious condition. You should take your dog to the veterinarian right away. What Causes Paralysis in Dogs? There are various reasons for a dog to develop paralysis. Some are more obvious than others. For example, if your dog has been hit by a car, then it should be apparent that blunt force trauma has caused the paralysis. Tick bites: There are species of ticks that inject a poisonous chemical that will disrupt the dog’s nervous system. Intervertebral Disc Disease (IVDD): This is a condition that a dog is born with and makes them prone to developing paralysis. It mostly affects breeds that have very short legs (like Dachshunds). IVDD occurs when bones in the spinal cord burst and then pinch the neurons in the spinal cord. This disrupts the communication between the PNS and CNS. Degenerative Myelopathy (DM): This is when the dog’s immune system attacks neurons in the spinal cord. They cause these neurons to lose their insulation. This is similar to a frayed electrical cord and once it happens then these neurons cannot carry a signal. It frequently affects Boxers, Welsh Corgis, German Shepherds, Irish Setters, and Chesapeake Bay Retrievers. Fibrocartilaginous Embolism: Don’t be intimidated by this complex-sounding disease: it’s just a fancy way of saying that discs in the dog’s spinal cord get dislodged and block blood flow. This is usually a painless and temporary paralysis and frequently resolves itself in a few weeks. Bacterial or viral infections: Your dog can get sick, just like you. Certain canine diseases may result in paralysis if the infection spreads to the CNS (especially the brain). These diseases include meningitis, distemper, and rabies. They usually occur if your dog has contact with wild animals. Malignant cancer: Dogs may suffer from cancer, particularly in their old age. If a tumor is malignant and grows in the spinal cord, it will eventually become so large that it blocks signals in the CNS. It may come as a surprise that tick bites are by far the most common cause of paralysis. Multiple bites usually result in serious symptoms, though in some cases just one bite is enough. The paralysis can happen slowly or all at once. There are warning signs that your dog may have been bitten by a tick, including vomiting, a loss of coordination, fatigue, and noticeable changes in the tone of their barking. These symptoms will usually appear six to nine days after the tick bite. How Do You Take Care of a Paralyzed Dog? Taking care of a paralyzed dog is a serious challenge. First and foremost, you have to determine why the dog is suffering from paralysis. The different causes require different modes of treatment. If your dog exhibits any of the symptoms listed above, then you should take them to a veterinarian immediately. Then they can diagnose the underlying condition with X-Rays, blood tests, urine tests, or simply examining the dog. Most of these forms of paralysis are treatable or even curable. One notable exception is if your dog suffered blunt force trauma. In these cases, their spinal cord has been broken and they will likely never gain full control of their legs. 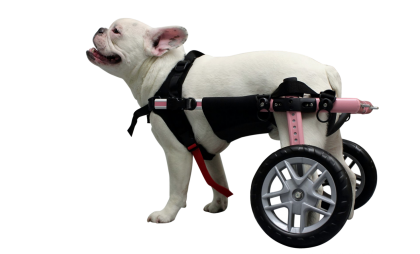 If their paralysis is simply paraplegia, then most owners attach wheels to the back of the dog. This allows them to move around using only their front legs. The other forms of paralysis can frequently be treated with medication. For example, tick bite paralysis will almost certainly require hospitalization. The amount of time depends on the severity of the tick infestation. Once the veterinarian stabilizes your dog, this paralysis is easily treatable with the right kind of medication. In the case of other kinds of infections, bacterial infections can always be treated with antibiotics. Some types of viruses, however, have no cure. This is especially true of rabies. This is why it is so important to make sure that your dog is always up to date with its vaccines! 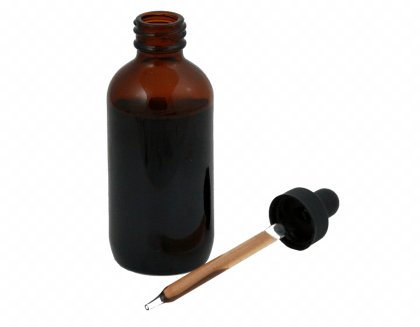 CBD is a natural extract of the cannabis plant. It belongs to the class of compounds known as cannabinoids. These are compounds that interact with cannabinoid receptors throughout the mammalian body. There are two primary types of receptors: CB1 and CB2. These receptors make up what is known as the endocannabinoid system (ECS). This is kind of like a control system that is responsible for the overall health of your dog. It controls pain responses, the nervous system, appetite, sleep cycles, and even the immune system. The ECS is also made up of cannabinoids that occur naturally in the mammalian body. These are known as endocannabinoids. CBD is known as a phytocannabinoid because it is extracted from the cannabis plant. CBD interacts with the ECS to boost levels of endocannabinoids in your dog’s body. This promotes overall health and wellness. In cases where your dog has not suffered a broken spinal cord, then CBD is incredibly useful in helping with paralysis. It controls the immune system, which will treat cases of DM in your dog. Furthermore, CBD also boosts your dog’s immune system, making them more effective at fighting off infections that may cause the paralysis. CBD is also a neuroprotectant. This is just a fancy way of saying that it protects neurons. Remember that neurons are the primary building blocks of the mammalian nervous system. By protecting these neurons from damage, CBD helps the CNS and PNS work properly. If a malignant tumor is causing the paralysis, then the only options are chemotherapy, radiation therapy, or surgery. These can all have serious side effects. However, cannabidiol (CBD) is effective at treating not only the side effects of the treatments but also the symptoms of cancer itself. Recent research has also shown that CBD can aid in the fight against cancer and it can actually shrink the size of tumors. CBD has multiple positive benefits for your dog’s health. Extensive research has shown that CBD makes your dog healthy and happy! For the best results, give your dog CBD daily. Most owners give one dose in the morning and one at night. You should also communicate with your veterinarian. They can help you make sure that your dog’s other medications and overall nutrition complement the CBD dosage. CBD is incredibly safe. It is basically impossible to give your dog too much. At a high enough dose, your dog will simply get sleepy and pass out. If you want an informative chart for dosage amounts, visit, https://www.holistapet.com/cbd-dosing-chart-for-pets/. You will want to use CBD that comes from a legitimate and highly-rated company. This company has high-quality products that guarantee your dog’s safety and well-being. They have strict standards of quality control and only sell products with controlled dosage amounts. 0.25 milligrams for every 1 pound of body weight for a regular dose (this means that the symptoms are mild to moderate). 0.5 milligrams for every 1 pound of body weight for a strong dose (this means that the symptoms are moderate to severe). If necessary, you can increase or decrease the dosage. Just pay attention to how your dog reacts. If they are still exhibiting symptoms, then increase the dosage in 5-milligram increments. Dogs are so important to their owners. It’s only natural that you would want to give them the best quality of life. It is heartbreaking seeing your dog suffer from paralysis. No one likes to see their dog struggling. It is in a dog’s nature to move about, jump, run, and be active. Try CBD today and help your dog live their best life!